Pierre Louette is currently Deputy Chief Executive Officer at Orange, in charge of General Secretary, Orange Wholesale France, Group Sourcing and Supply Chain, Explore 2020 operational efficiency program, Orange Silicon Valley, and Orange Digital Ventures. He is member of the boards of 0range Spain, BuyIn, the joint-venture between Orange and Deutsche Telekom, Dailymotion, Deezer, Iris Capital, the National Museum Institution, and Rocket Internet. Since May 2017 Pierre Louette is Chairman of the French Telecommunications Federation, a position he previously held from March 2012 to May 2015. Pierre started his career in 1989 at the French Government Audit Office (Cour des comptes) and was technical advisor for communications, youth and sports to the French Prime Minister’s Cabinet Office from 1993 to 1995. 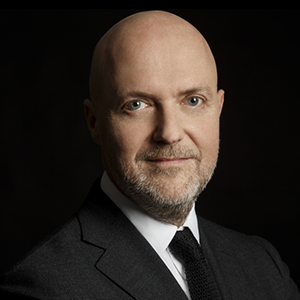 He then became General Secretary and Director of Communications at France Télévisions before moving on to the Havas Group in 1996 to found and develop the web agency Connectworld. Afterwards, he became Managing director at Europatweb, an Internet investment fund created by Bernard Arnault, where he participated in the incubation and development of more than 50 start-ups, including Webhelp and Immostreet. The CEO of Agence France-Presse from 2003 to 2005, he was elected Chairman & CEO in 2005 and held that position until 2010, when he joined Orange. During this period he turned around the Agency’s financial position, developed its online operations and launched video production abroad. A graduate of Sciences Po, Sorbonne Law School and ENA, Pierre Louette is “Conseiller Maître” at the Court des comptes and has been made a Chevalier of the Legion d’Honneur and Officier of the Ordre National du Mérite.